Individual boat slips on protected boat basin with amenities that include private parking, water, electric, fish cleaning stations, and remote control for lift. 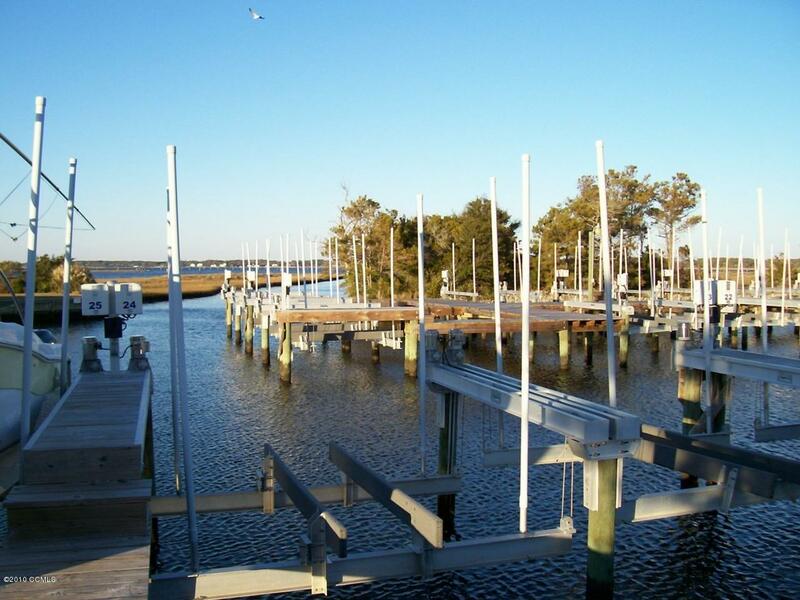 Conveniently located only a few miles from Cape Lookout and easy access to the ocean. These slips are offered at a tremendously low price when compared to the general market. These lifts will handle boats up to 20 feet in length.